From classic Airstreams to WWII era buses, vintage campers always seem to be the star of the campground. What could be better than a campground full of old school rigs? 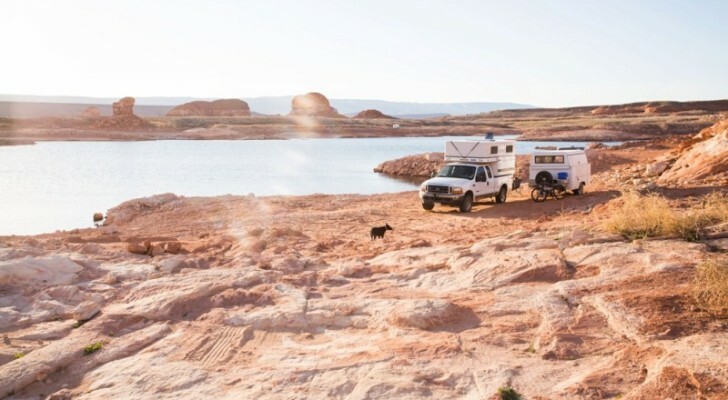 If you’re looking at purchasing a vintage camper (or just want to see what they are like) these five campgrounds have dozens of fun trailers to try before you buy. This unique campground is owned by Kate Pierson, one of the lead singers and founding members of The B-52’s. Located in California’s Mojave Desert, the Lazy Desert is the offshoot of Kate’s Lazy Meadow hotel in Mount Tremper, New York. 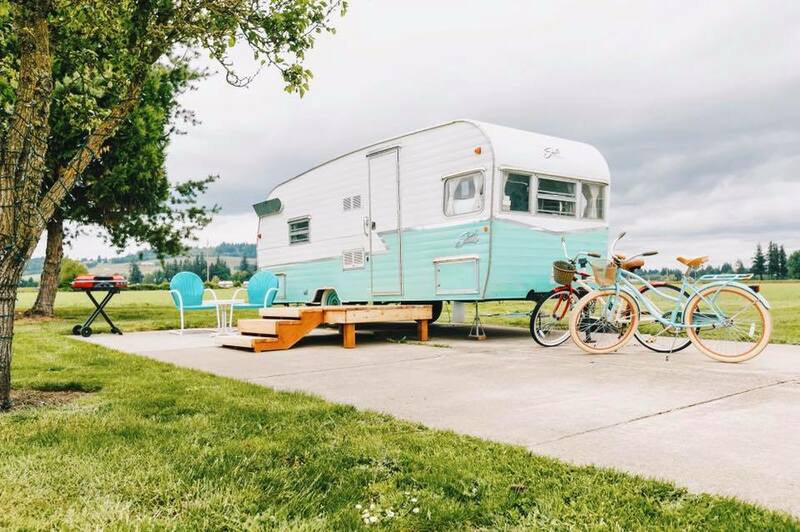 Located in the heart of Willamette Valley in Oregon, The Vintages Trailer Resort offers nearly 20 beautifully restored campers and trailers for rent. 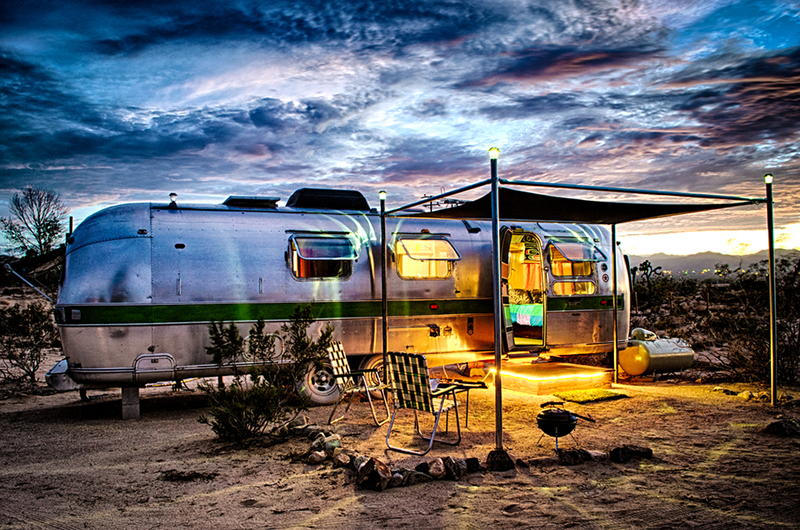 Everything from a 1956 Santa Fe to a Neutron custom built by Flyte Camp is available for nightly or weekly stays. The Vintages also has a renovated clubhouse for weddings and conferences as well as a pool and gorgeous views. Enchanted Trails in Albuquerque, New Mexico is a regular campground with 135 sites. 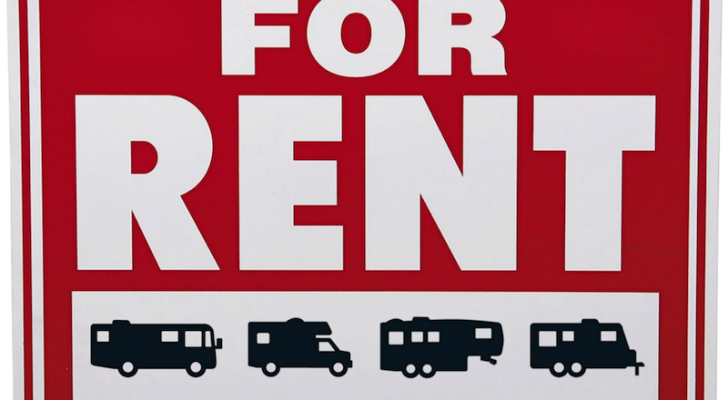 In addition, the RV park has several vintage campers for rent. 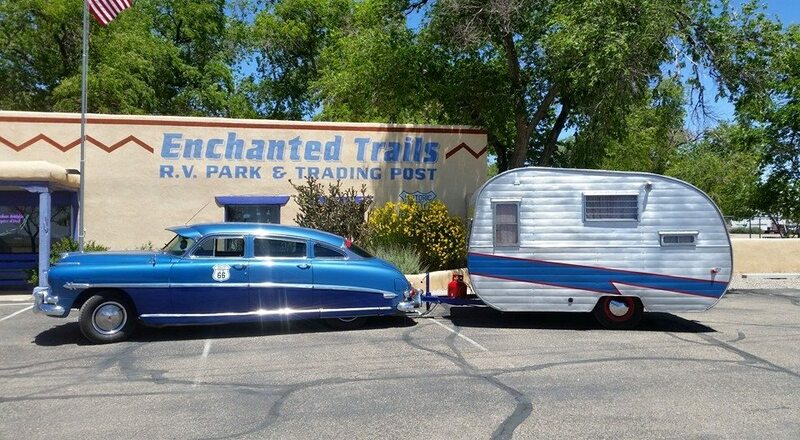 Stay in a 1963 Winnebago named “Dot” or a 1956 teardrop trailer named “Alva.” The resort also a clubhouse with a curiosity shop, a pool, and acres of New Mexico desert to admire. You can read reviews on the RV park here. 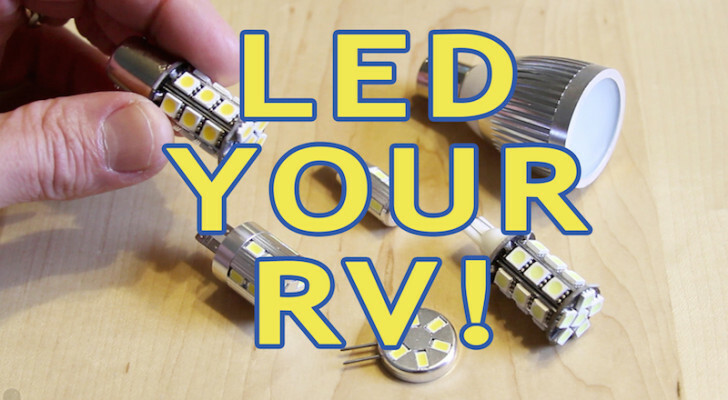 If you can’t get enough of Airstreams, check out Autocamp. 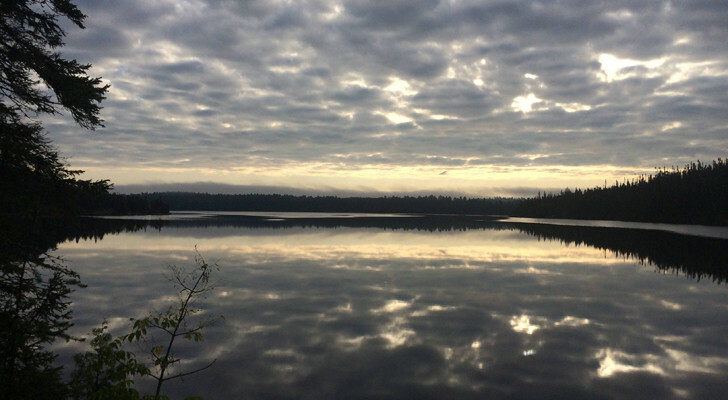 These upscale campgrounds are located in two locations in California. The Santa Barbara Autocamp location has six Airstream suites decorated in mid-century modern style accompanied by cruiser bikes. 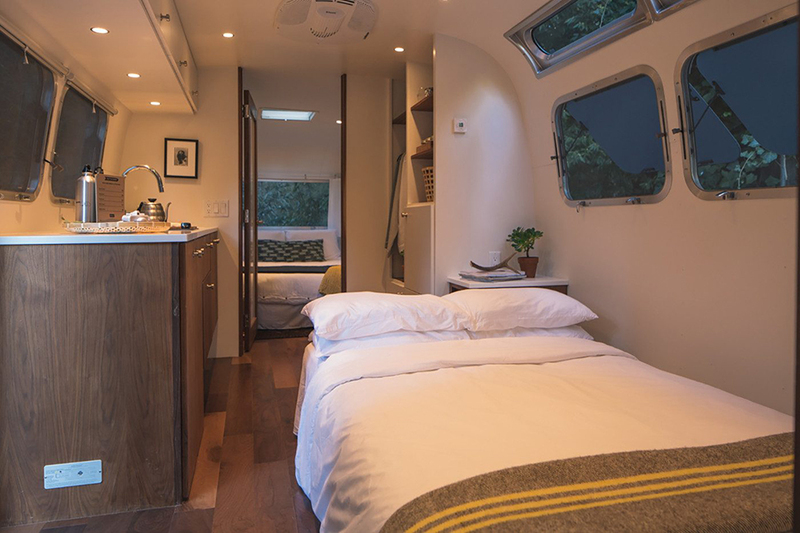 The Russian River Autocamp is north of San Francisco and contains an Airstream trailer, an accessible gypsy wagon, and a luxury canvas tent. 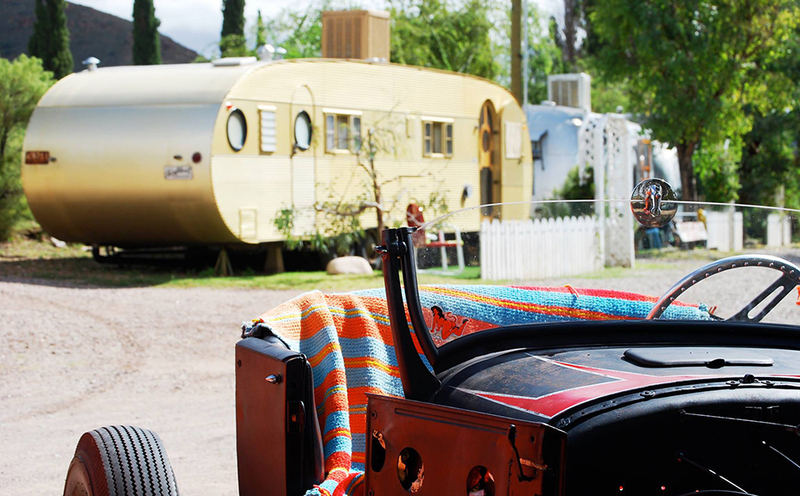 The Shady Dell in Bisbee, Arizona is one of the most well-known vintage campgrounds. 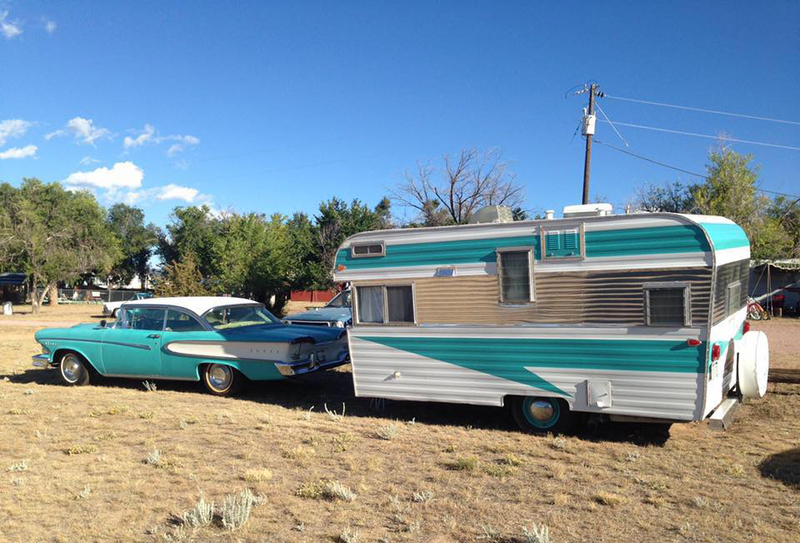 The park offers nine campers ranging from a 1959 Boles Aero to a 1950 Spartanette. Shady Dell even has a restored 1947 Chris Craft Yacht parked permanently on a dock with a shade structure to protect visitors from the blazing Arizona sun. Read more about all of their unique campers here. 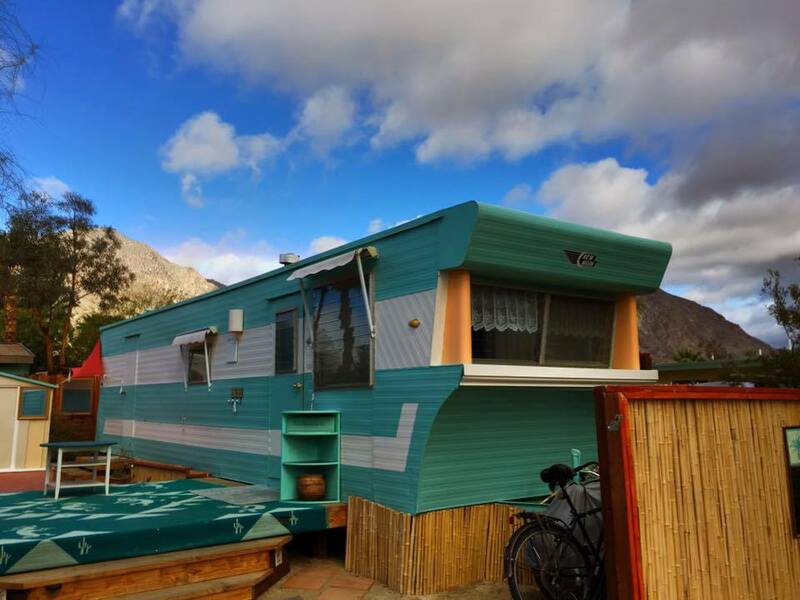 Desert Sands is located in Borrego Springs and has been welcoming campers since 1960. More of a community than an RV park, Desert Sands is dotted with various campers from the 1950s and 1960s and many of them are rented out to regulars. 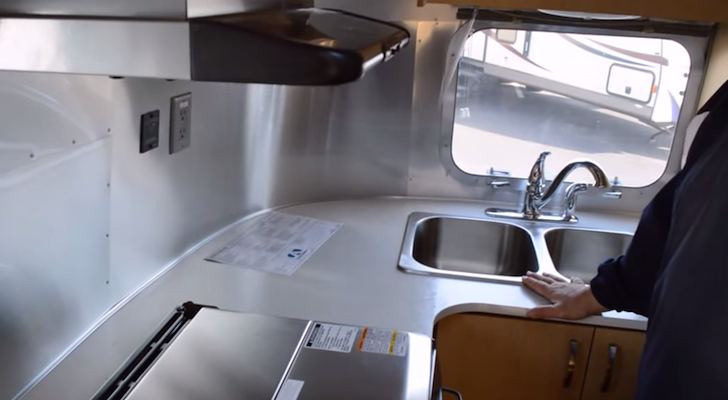 You can choose from vintage Airstreams and Silver Streaks to canned hams like the Shasta. Furthermore, all the rigs have private outdoor seating areas and even the park laundry mat is located in a vintage camper. The Starlite Classic Campground in Canon City, Colorado embraces retro in every way with their colorful playground, mini golf, and pool. 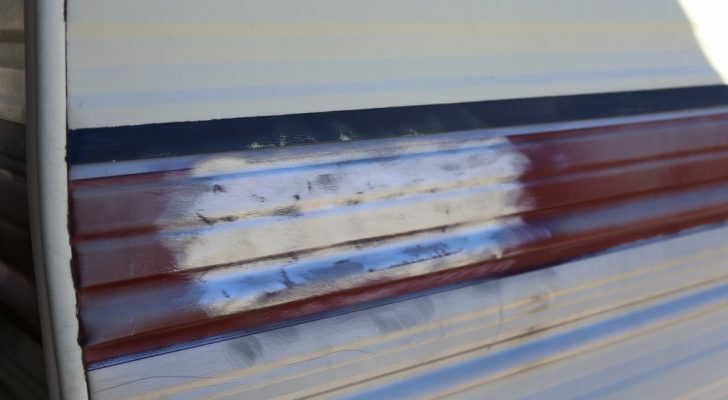 They offer pull-through spots for regular RVs, but many people come here to stay in the vintage campers. 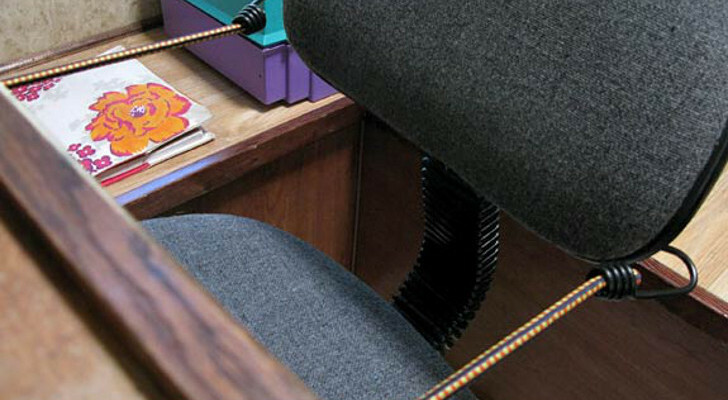 From a 1962 Tepee named “Flamingo Lounge” to a 1973 KenCraft named “Shaggy”, you will be sure to find the era that fits your camping style. Read more about them here.